Welcome to our Agent Insight series! We've been scouring popular real estate forums in search of awesome agent bloggers who are posting about all the things that matter to you - valuable industry insights, real estate marketing tips and more. Today, we're publshing our very first guest blog - an Active Rain re-post by 15 year real estate veteran, Mel Peterson. Mel is a successful realtor in Oregon and she's here to share the lessons she's learned throughout her years of experience in the real estate space. Let us know what you think in the comments and enjoy! Over the course of 15 years of selling real estate, I’ve made my share of mistakes. It’s easy to do when you don’t have a “how-to” manual or a mentor to guide you. I thought I’d share a few of my blunders … just in case there’s a newbie out there who could benefit. The first brokerage I worked for was Windermere. I picked a cute name for my email address. Big mistake! Three years later, I left Windermere and moved to Re/Max. An agent at Windermere quickly snatched my old email address and benefited from my SEO. I learned my lesson and started branding my “virtual” email to my personal URL. When I moved to Southern Oregon, I didn’t know a soul. So I got my real estate license and hit the ground running. My principal broker asked, “How will you get business?” I told him I was going to buy a website and he said, "That will never work.” He told me I needed to knock on doors, so I listened. I canvassed a neighborhood, passing out chocolates and business cards. After eight hours of sweating, and lots of melted chocolate, I got zero leads! After that, I bought a website (www.BuyInOregon.com). Within weeks, my phone started to ring! There have only been a handful of times in my life when I didn’t trust my gut. As a newbie Realtor, I was offered a position as a buyer’s agent for a successful broker. She was stylish, fast-talking and very convincing. I was new to the area, and her fear-based persuasion told me I needed her. Five months later, and numerous arm-wrestling matches in between, we parted ways. I knew we were ill-suited from day one, but I allowed fear to guide me. From then on, I followed my heart! I learned pretty quickly that buyers are like wild ponies. After expending much time and energy (not to mention several tanks of gas), a few of them galloped without me and bought a FSBO. Oops! I assumed they knew I could help them with FSBOs, too. However, I made a huge mistake in not communicating that. After a couple of lost deals, I created a fact sheet describing my services, which I began providing to my clients at the first point of contact and I've never lost another buyer to a FSBO. Never assume your clients can read your mind! It’s easy to spend big when you’re making big money! 2005 was my best year in real estate, grossing over $450,000. If I knew I was going to lose my skirt in the coming years, I would have set aside more of my earnings for a rainy day (more like a seven-year storm). Business is cyclic and down times are inevitable. Saving is a smart thing to do no matter what your profession. I’m happy to say that I’m getting smarter in my “wiser” years. 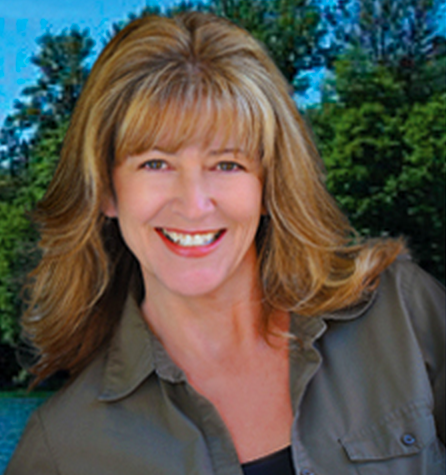 Learn more about Mel Peterson with Real Estate Cafe LLC on her website, www.buyinoregon.com. What are some of your biggest real estate lessons? Tell us in the comments! Do you want to be featured as an Agent Insights guest blogger? To be considered, fill out our application form!